SPSS, or Statistical Package for the Social Sciences, is an advanced, multifaceted statistical software that allows to conduct all kinds of analyses from simple to very complex. SPSS is usually the statistical software of choice for Stats students, especially in the case of Psychology, but also for business and other Social Sciences subjects. One great thing about SPSS is that it is relatively intuitive to operate, unlike other statistical software like STATA or SAS, which are usually linked to more advanced applications. Students usually do well when conducting analyses with SPSS, because it is all relatively straightforward: there is a window pane where the data is inputted, an there is the output window page where the results of the analyses are rendered. How to Interpret the Outputs from the Data Analysis? The struggle comes about when it is time to interpret the results provided by the software. Indeed, the reality is that you need to actually KNOW YOUR STATS in order to interpret the results that SPSS yields. This is, SPSS will provide neatly formatted tables, with all the information you need, but you need to know what to do with that information. Often times, SPSS will provide you with MORE information than what you actually need, and you will need to assess what you need to select from the SPSS tables. It is even a very common thing that teachers will penalize you if you just simply paste the SPSS output into the word document you are writing your report in. So, you really need an expert eye to collect the information you need, from all the myriad of information provided in the SPSS outputs. Most cases, students can handle using the GUI (graphical interface) to conduct the most common analyses: t-test for comparing samples, all types of ANOVA, regression, etc. They can even manage relatively well interpreting the output SPSS provides. But when they think that they have everything down, then they are in for a surprise: not all can be done through the GUI, and most of the most sophisticated procedures require the use of SYNTAX. 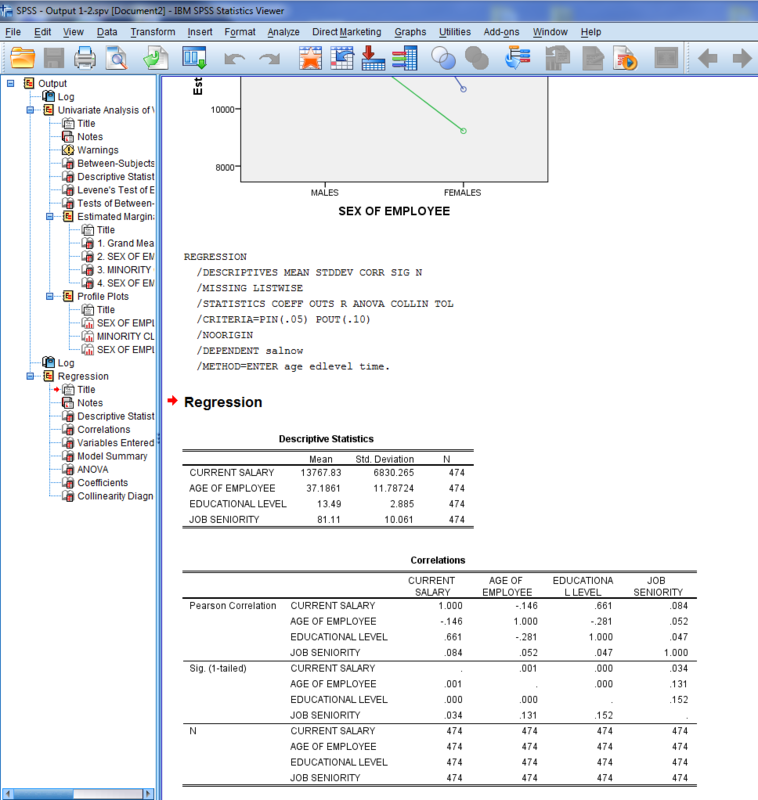 Syntax is simply the use of programming code to tell SPSS what to do, instead of using the menus provided by the GUI. The use of syntax is scary to most students, and it brings SPSS to the level of other possibly more sophisticated software packages, like STATA and SAS. But reality is that it would be really difficult to make a menu item for each and every one of the things that SPSS can do for you. Consequently, there are certain things that you have no other options but to do them with syntax. Normally students complain that they get marked down when presenting their reports, because they pasted in directly the output from SPSS. That can be an issue, depending of the requirements of the specific assignment and depending on how picky the grade is. The truth is that SPSS does not provide APA outputs from out of the box. There are a couple of settings that will allow you to get some sort of APA style tables, but you still need to work that a bit to be complaint. Ultimately, using a statistical software package like SPSS may seem easy at first, but there are a lot of things that can be wrong, that you need to be careful with. Keep in mind that SPSS most typically will provide you with more information that what you need, and you will have to weed out to provide only what is requested in your reports. Also, keep in mind that mostly reported are requested to be in APA, and SPSS won't give you APA out of the box. Do I Need External SPSS Help? I can be, but not necessarily. There are many tutorials online about to interpret outputs. That is usually the hardest part. But on the other hand, you need to understand the statistical material well before understanding the tutorials that attempt to show you how to interpret the outputs. Therefore, if you feel that your understanding of the material is week, then you may need to look for expert help. You should start with the easy tests, and build up. Start first with the simplest t-tests, work out through the menus, the graphical interfaces, so to get familiar with it. 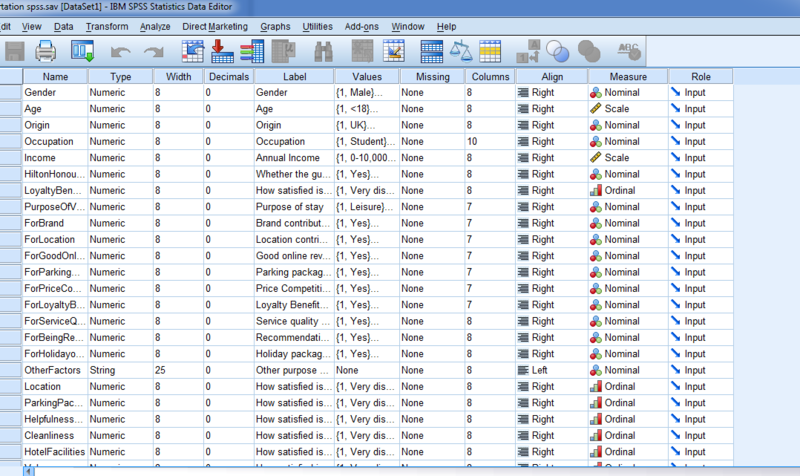 Then, you can become familiar with the SPSS outputs, see how the results are grouped and tabulated. Start always with the easiest tasks, so you get a good feel of the basics. Then, you may need to expand bit to check for assumptions: most parametric tests will require the fulfillment of several assumptions (such as normality and homogeneity of variances), and SPSS may not necessarily give you a way of checking such assumptions directly. In some cases you will need to go out the way to do some procedures required for checking assumptions. An even in some cases you will need syntax. Make a careful analysis of your strengths and see how comfortable you feel with SPSS, and see honestly if expert help is what you need. One advice though: if you happen to hire a SPSS expert, make sure to make the best out of it, ask questions and try to learn, so possibly the next time you won't need to hire anyone and you will feel immensely more comfortable dealing with this SPSS ordeal on your own.